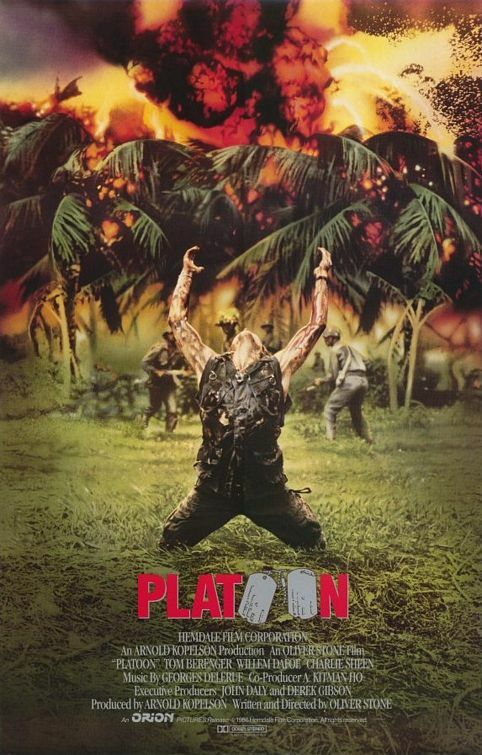 Winner of 4 Academy Awards®, including Best Picture, and based on the first-hand experience of Oscar®-winning director Oliver Stone, Platoon is powerful, intense and starkly brutal. "Harrowingly realistic and completely convincing" (Leonard Maltin), it is "a dark, unforgettable memorial" (The Washington Post) to every soldier whose innocence was lost in the war-torn jungles of Vietnam. Chris Taylor (Charlie Sheen) is a young, naive American who, upon his arrival in Vietnam, quickly discovers that he must do battle not only with the Viet Cong, but also with the gnawing fear, physical exhaustion and intense anger growing within him. While his two commanding officers (Oscar®-nominated Tom Berenger and Willem Dafoe) draw a fine line between the war they wage against the enemy and the one they fight with each other, the conflict, chaos and hatred permeate Taylor, suffocating his realities and numbing his feelings to man's highest value... life. Platoon Movie Prop Peplicas, Figures, Toys and Collectibles! 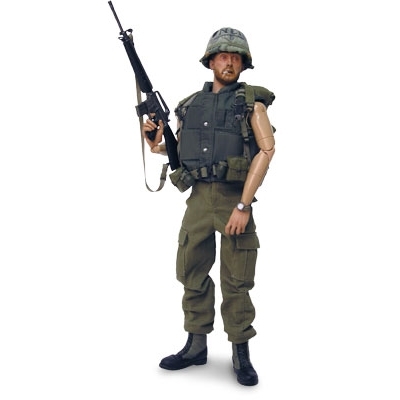 The movie-accurate collectible is specially crafted based on the image of Tom Berenger as Sergeant Barnes in the movie. From the Manufacturer: Sideshow Collectibles is proud to present the 1/6th scale Sergeant Barnes Collectible Figure from the Platoon movie. 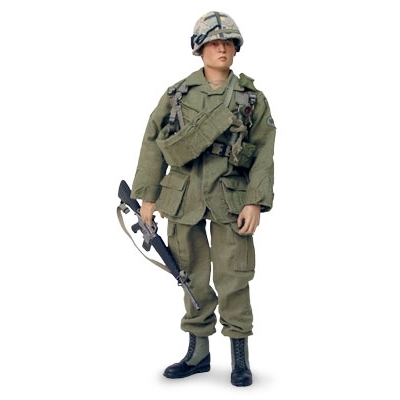 The highly detailed Sergeant Barnes collectible is specially crafted based on the image of Tom Berenger from in the film, highlighting the newly sculpted head, military costume, gear and weapons. 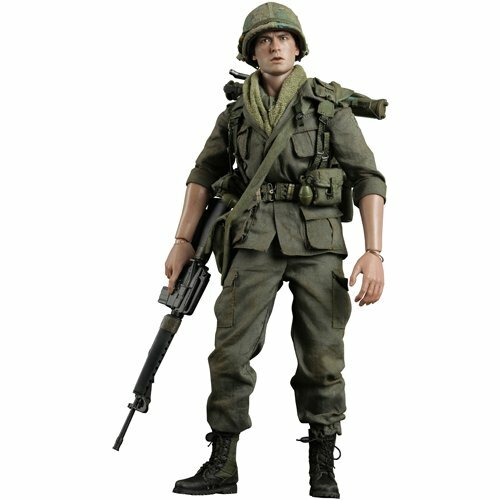 The movie-accurate collectible is specially crafted based on the image of Charlie Sheen as Private Chris Taylor in the movie. From the Manufacturer: Sideshow Collectibles is proud to bring you the latest addition to Hot Toys' Movie Masterpiece Series of 12-inch figures, 1/6th scale Chris Taylor Collectible Figure from the Platoon movie. 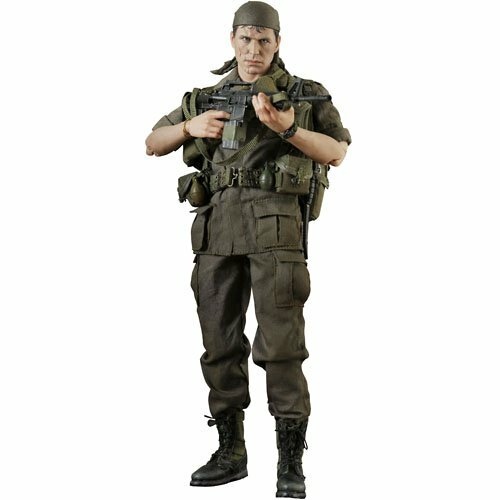 The highly detailed Chris Taylor collectible is specially crafted based on the image of Charlie Sheen in the movie, highlighting the newly sculpted head, military costume, gear and weapons. ​This 12" figure faithfully portrays actor Keith David as 'King'. 'King' offers the members of the Platoon support from both his M-60 machine gun and his own home spun wisdom. 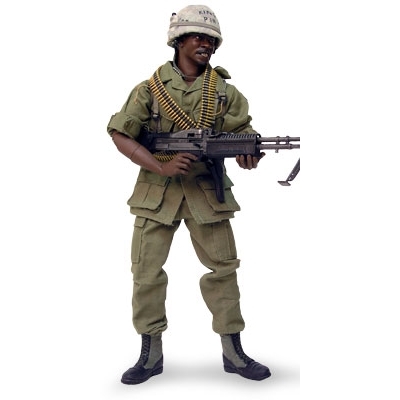 This limited edition figure comes with fully packed out for jungle combat, including a metal M-60. A skilled translator and good friend of Chris Taylor. When Lerner is wounded, Chris finds a new courage and resolve to handle the insane situation of war. Loud-mouthed and less-than-courageous, O'Neill does what he can just to stay alive. Much to his surprise, it is O'Neill that is left in charge of putting the Platoon's shattered pieces back together at the film's end. ​A 100% accurate figure of actor Francesco Quinn as Rhah As the leader of the 'Underworld.' Rhah offers an often eccentric but satisfying perspective on the insane situation the platoon members find themselves in. 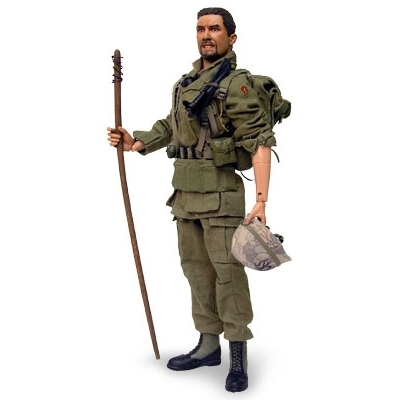 This limited edition figure comes with fully packed out for jungle combat including his staff.